A new study finds that every 10 minutes, a child heads to the emergency room because of medicine poisoning. It also took a close look at why they end up there. The good news is, that this report by Safe Kids Worldwide found ER visits for children 6 and under had reduced by 32%. While I’m happy to hear that, there were still 52,000 children rushed to the hospital because they got into medicines that were not for them. So why is this happening? Well, this study sat down with parents to find out. Turns out, many of them didn’t think of medicine safety as a top priority when it came to childproofing their home. Well, this study sat down with parents to find out. Turns out, many of them didn’t think of medicine safety as a top priority when it came to childproofing their home. But, at the same time, parents felt that they were already storing medicine safely. 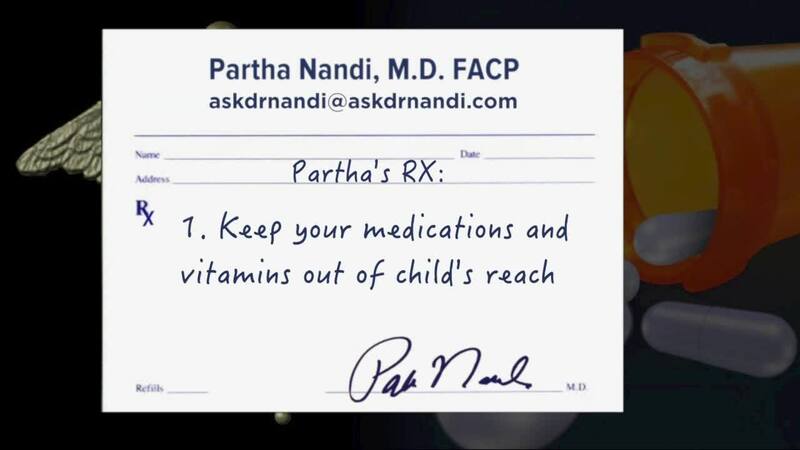 So why then are kids getting into medicines? Well, apparently there is a difference between “storing” medicine and “keeping” medicine. When parents said they “stored” medicine, they meant long-term storage and placed these up high and out of the child’s sight. Like in a closet or a cabinet. But more frequently-used medicine, often taken on a daily basis, was actually kept in more convenient locations. Like a purse, diaper bag, counter or nightstand.